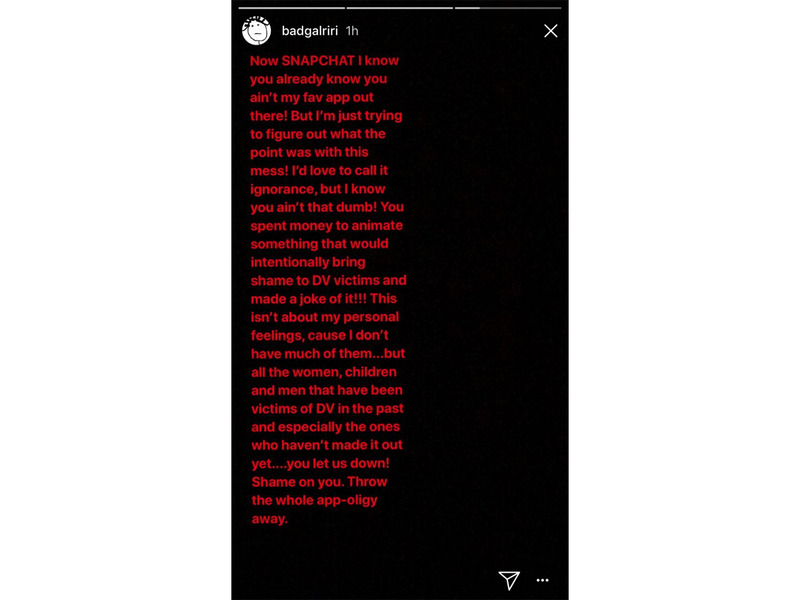 Rihanna has weighed in on the Snapchat ad that referenced the rapper Chris Brown’s assault on her in 2009. The singer said in a post on her Instagram story that the ad intentionally shamed victims of domestic violence. 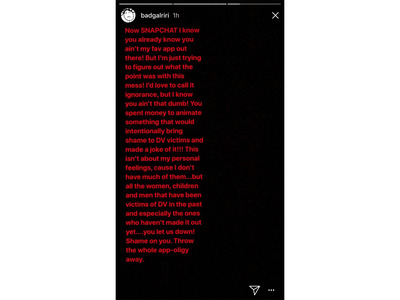 Rihanna has responded to the Snapchat ad that appeared to make light of Chris Brown’s assault on her in 2009. The ad, which asked users whether they’d rather “slap Rihanna” or “punch Chris Brown,” appeared on Snapchat earlier this week. Users immediately complained about the ad. Snapchat quickly pulled it off its platform and issued an apology, saying it was approved in error. Rihanna posted the message around 11 a.m. ET, and Snap’s stock fell more than 4%. 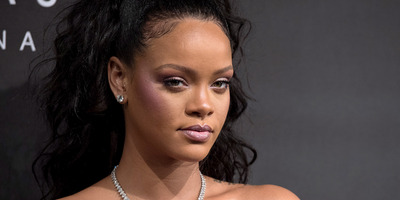 Rihanna has rarely spoken about the assault, which left her with two black eyes, large contusions from Brown’s ring, a split lip, and bite marks and injuries on her hands and body. Brown was sentenced to five years of probation and community service.